When implementing financial sanctions, it can be a challenge to measure your own effectiveness. Fortunately, the Financial Action Task Force (FATF) do just that. FATF have just given the UK the highest possible rating for its measures in promoting the global use of financial sanctions against terrorism and proliferation of weapons of mass destruction. I’m not quite sure how to characterise the experience of a FATF evaluation from the inside. I suppose the best analogy is that it’s like having your homework marked by 37 headteachers who really want you to achieve your fullest potential. That level of scrutiny is daunting. But we had a strong story to tell. Establishing OFSI was an important milestone: since then we’ve brought in new powers, built a framework to enforce them and worked to increase awareness and help people understand what it means to be compliant. On counter-terrorism, we demonstrated to FATF how financial sanctions are a key part of the UK’s counter-terrorism tool kit. Implementing the UN’s sanctions list for ISIL (Da’esh) and Al-Qaida (UNSCR 1267) has caused significant disruption to those groups. 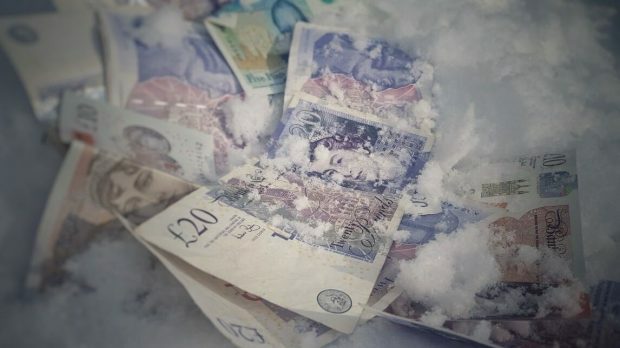 Freezing their assets in the UK has deprived them of resources and constrained their malign behaviour. We have also effectively enforced the counter-proliferation finance elements of the Iran and DPRK UN sanctions. The UK was uniquely placed to tell another positive story here as we’ve taken a leading role in the implementation of both these regimes for many years. The UK has defined counter-proliferation as a national security issue and created the Counter-Proliferation and Arms Control Centre, which coordinates all counter-proliferation and arms control activity across government. FATF robustly tested the “how” of financial sanctions. As an example, they wanted to know that we implement asset freeze targets “without delay” and how we go about enforcing UN imposed sanctions. Last year we ensured this through the Policing and Crime Act 2017 (PACA), which means we can do as much as possible to prevent asset flight. We publicise these listings quickly – within one business day, and often on the same day. The assessors also recognised the UK’s commitment to treating seriously any breaches of financial sanctions regimes, with the adoption of a strong enforcement framework under PACA. This increased the powers the UK has to address breaches of all sanctions regimes in UK law, and gave us powers to impose monetary penalties for financial sanctions breaches. I am very proud today that for Immediate Outcomes 10 and 11 – dealing with counter-terrorism and counter-proliferation - the FATF review has given the UK a ‘High’ rating. You can read the full report here. It’s not simply that we are taking the issues seriously. It’s that, as recognised by our peers, we are making a real difference. OFSI is committed to working as part of an international community with OFAC and other competent authorities to maintain global standards. I really value the partnerships that we have with businesses which help us to uphold the law and I look forward building on that platform. More companies are reporting designated people, suspected breaches and are freezing assets. Companies are not only responding to OFSI but seeking us out, enabling a more collegiate approach and a real shift in perspective. The FATF report is a significant staging post but not the end. We will use it as a catalyst to build on our achievements.